Crystals have been used for centuries to help clear, balance, and raise the vibration of the intended person. Just as they can aid a person, they are able to transmute the energy of a space, while creating a beautiful intention filled visual. This among other reasons (that we will touch on) is why pairing crystals in the calming eye pleasing home of a terrarium have become so popular. 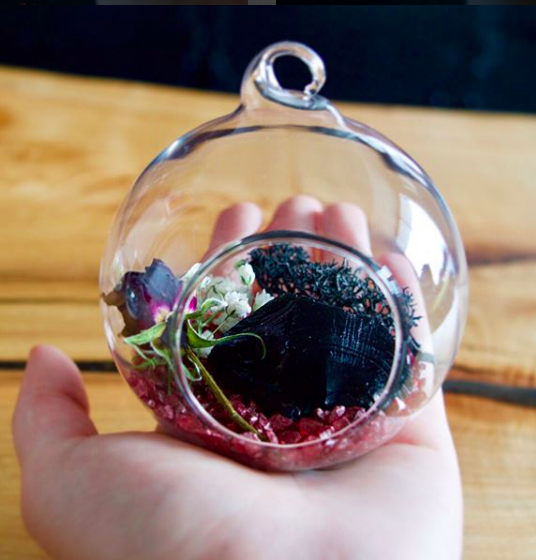 In this workshop, you will not only learn how to choose, clear, and charge crystals to be housed in your mini crystal terrarium, but also understand why you are drawn to certain crystals or their colors more than others. 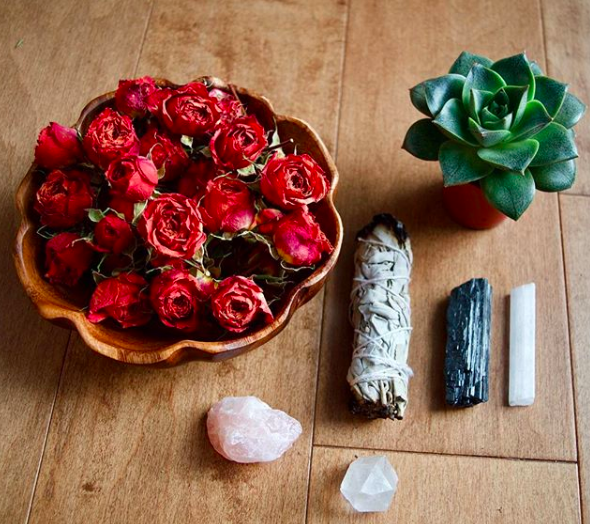 We will talk about crystal grids and how intentional placement of stones in a geometric pattern can create an energy more powerful than using a single crystal, and how to properly set a grid in your space. And of course, we will round out the session with where they may be best placed in your home or office to receive the highest energy vibration benefits, and send you off with a pair of Protection crystals in a pouch to start your collection. Pricing is $60 per person. Spots are limited, so book now to reserve your seat!